You’ve got a message. A program or product. A service. A voice you’re ready to share. And like most creative and service-based entrepreneurs, you know you need to get visible if you want to make an impact in the world, and in the bottom line of your business too. You even know HOW you should get visible because, let’s be honest, you’ve spent a lot of time studying business strategies and blocking off time to work on your goals. But you’re still not executing, and you just can’t figure out what’s holding you back. In this FREE five step guide, you’ll learn how to go from feeling stuck to standing out in your industry by dealing with the visibility hurdle no amount of time or business strategy can help you overcome: your mindset. Defining and declaring your visibility goal. Determining the right medium for your message or service. Uncovering the fears, doubts and limiting beliefs that keep you stuck in inaction. Getting clear on your unique value to overcome the mindset hurdles that are really holding you back. Ashley Gartland helps creatives and online entrepreneurs grow their business by simplifying what they do and how they do it. Her sweet spot is helping women refine their strategic plans, goal setting, content and visibility to help them make more money in their business and enjoy more freedom in their life. Ashley has been playing the entrepreneur game since she was 22, when she got her start as a freelance food writer. 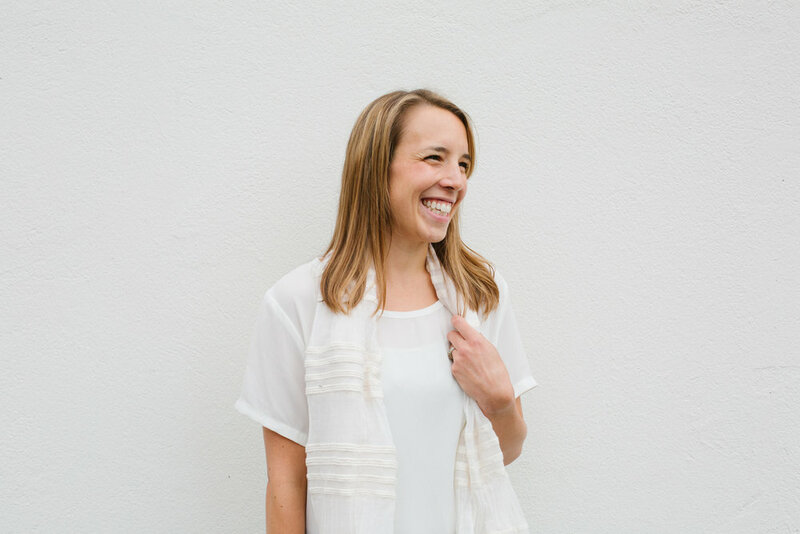 After a long run doing everything from testing cocktail recipes to working as an editor at a digital media startup, Ashley launched her coaching practice to help other women build their business with more ease. Ashley's work has been featured in O, The Oprah Magazine, The Huffington Post and Being Boss. She lives for rainy days, has a soft spot for prime-time "soap operas" and prefers kombucha over coffee to fuel her day. You can learn more about Ashley’s work and coaching services at www.ashleymgartland.com.